Using a power strip is an essential piece of gear to performing musician. Its where your rig and your tone begins. Every day from stage to studio or even in your home. 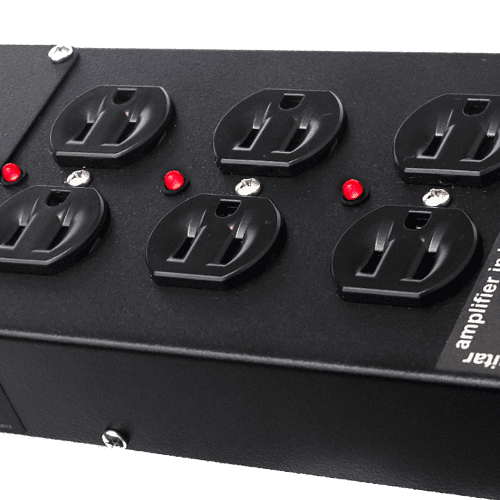 Rockn Stompn combines all the features and technologies today’s performance industry requires in a musicians power strip. 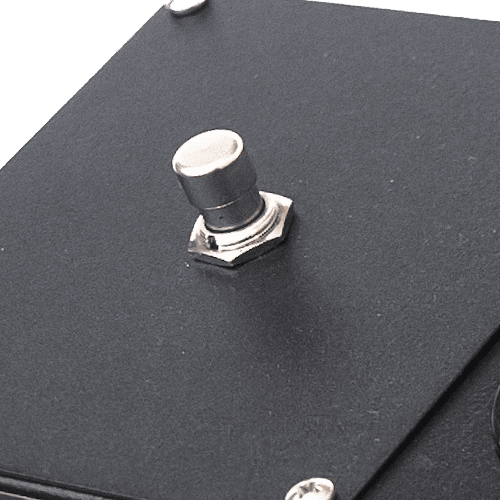 Designed with the artist in mind, the Rockn Stompn strip is the best power conditioner to protect valuable gear and enhance the overall musical experience. We offer a lifetime warranty for this ultimate power strip, surge protector, and multimode power sequencer in one! 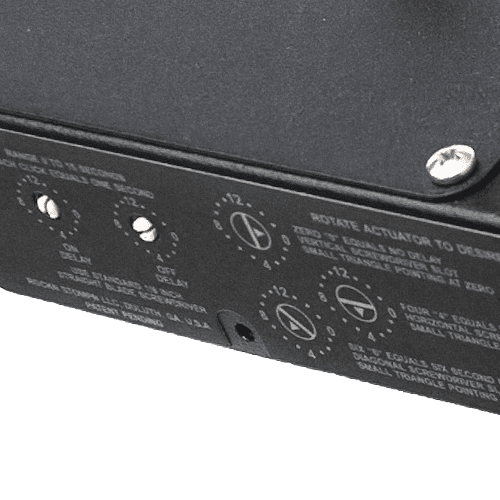 The model RS-4, looks like a power strip, but it is really a state of art power management system, multimode power sequencer with EMI/RFI noise filtering and power conditioning, and is a UL listed surge protector with a 15 ft. power cord and much more. Designed by musicians and roadie tested, the RS-4 is transportable and can be used anywhere—onstage, in the studio, or in the home. 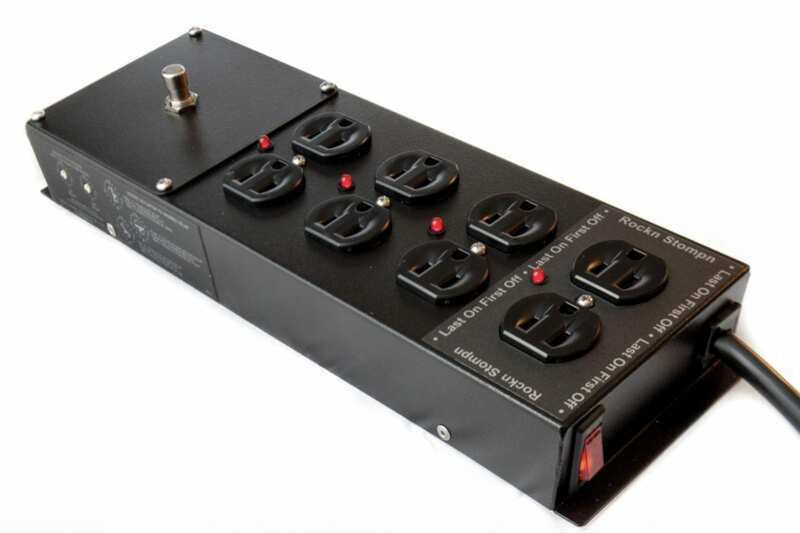 What makes this power strip for musicians stand out? Stop that annoying “pop.” Rockn Stompn’s automatic sequence and time delay helps you avoid making a mistake when you are powering on and off, which could damage your equipment. This product also offers over voltage protection—ensuring your equipment will work better and last longer. No more bending over—turning on all your equipment has never been easier! Just tap your toe on the footswitch and you watch your gear come to life in the proper sequence everytime. 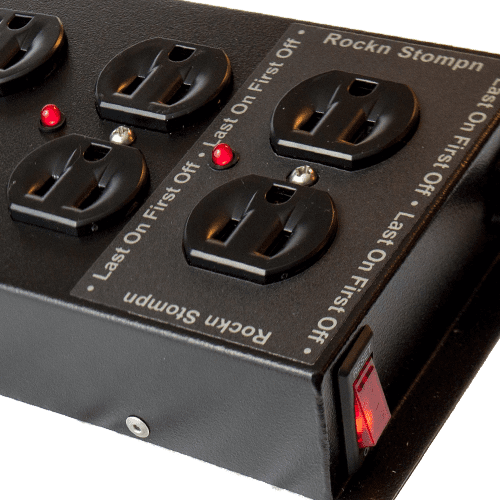 As the best power conditioner around, the Rockn Stompn strip provides your valuable electronic equipment with clean, noise-free AC power to your gear. It’s perfect for your studio or live performances. When you buy a Rockn Stompn power strip, you are buying the last power strip you’ll ever need. Each and every Rockn Stompn power strip comes with a lifetime warranty!